The project has made the decision that Opportunity will winter over on the north end of Cape York on the rim of Endeavour crater where northern tilts are favorable for energy production. Opportunity is moving generally north across Cape York on the rim of Endeavour crater with an eye ahead to the next winter. With her solar arrays dustier and atmospheric opacity higher than in past years, the winter will be more challenging. So, Opportunity has been surveying regions with favorable northerly tilts so she can spend the winter months actively exploring. 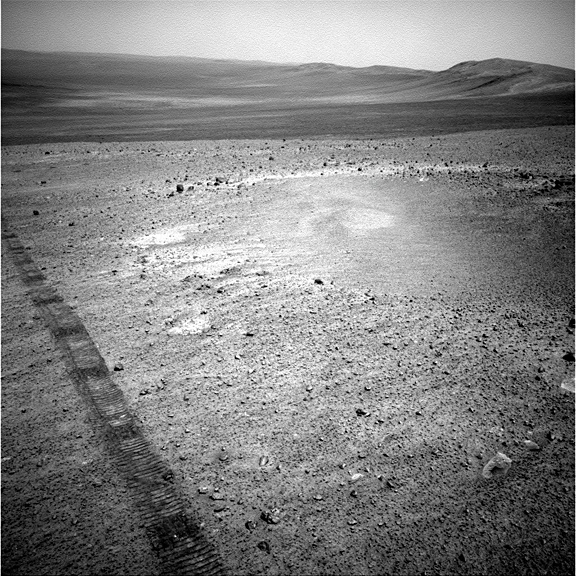 On Sol 2738 (Oct. 7, 2011), the rover drove north toward the feature "Shoemaker Ridge" with a 28-meter (92-foot) drive. On the next sol, Opportunity continued her scouting trek with a 78-meter (256-foot) drive to the north-northeast. 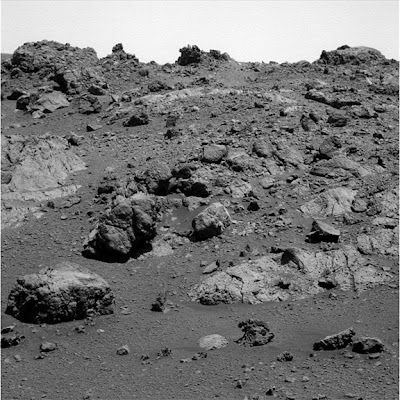 On Sol 2742 (Oct. 11, 2011), the rover conducted a reconnaissance of the local area with a zigzag drive totaling almost 40 meters (131 feet). The plan ahead is more northward driving surveying Cape York. As of Sol 2744 (Oct. 13, 2011), solar array energy production was 316 watt-hours with an atmospheric opacity (Tau) of 0.791 and a solar array dust factor of 0.498. Total odometry is 20.98 miles (33,761.36 meters, or 33.7 kilometers).